Over the next few weeks we’d like to introduce you to some new faces on the GfGD blog, bringing fresh ideas and perspectives on topics relating to geoscience and sustainable development. We’re delighted to have their input, and look forward to their posts. Today we interview Robert Emberson – based in Victoria, Canada. I’m Robert Emberson, and I’m delighted to be volunteering for GfGD. 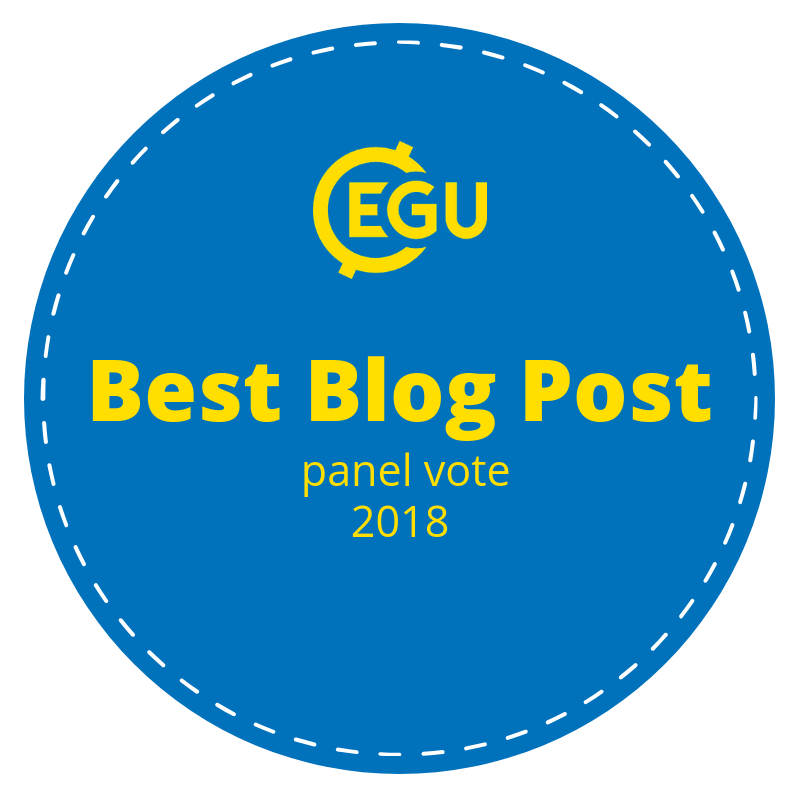 I’m looking forward to blogging about a range of topics; I see earth science at the intersection with society and social goals to be among the most challenging and interesting topics to communicate, to both scientists and the wider public. 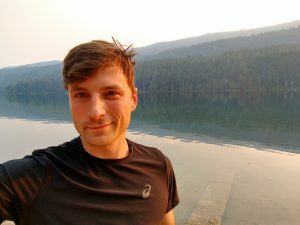 I’m currently working as a science writer, based in Victoria, Canada. Previously I worked as an associate editor at Nature Geoscience, and before that I completed a PhD in Geomorphology at the University of Potsdam in Germany. How did you become interested in the work of GfGD? Some of my friends from undergraduate study were involved in the project for many years, so I have been aware of what GfGD does for some time. I’ll be honest, though – 5 or so years ago, when I started my PhD, my attention was taken up by topics that were less relevant to development and society. Over the course of my doctoral work, though, that attitude changed. I studied the effect of bedrock landslides on chemical weathering in mountain belts, and in doing so I was fortunate to conduct fieldwork in some rapidly eroding mountain belts. It’s impossible to visit places like Nepal and Taiwan and study the landslides there without coming away with some sense of how much risk the people living under unstable hillslopes must undertake in their daily lives. Landslide hazard is just one example of an earth science problem that has very real implications for people in developing regions, and I now feel strongly that it’s imperative as scientists not to ignore these implications. So in a roundabout way this led me to GfGD; using earth science knowledge to help achieve the Sustainable Development Goals aligns well with my own interests, and I’m delighted to have this opportunity to contribute. What role do you think science communication has in achieving the Sustainable Development Goals? When I worked at Nature Geoscience, one of the concepts I used on a regular basis is that it should be possible for a communicator of science to be able to describe any topic, to any audience, in (almost) any number of words. The trick, of course, is to make it engaging for your audience. It seems clear to me that the SDGs are relevant to everyone, in most cases directly. Effective science communication can explain the scientific basis for this relevance (e.g. look at the links between food security and climate change, and how that affects the supply chain for the meal you’re having for dinner tonight) in a way that makes it interesting and engaging to a wide audience. An engaged audience is one that is more likely to take action; we should use the scientific research as a powerful ally to persuade folks of the benefit of attaining the SDGs. This goes both ways, too; effective communication of the links between geoscience and SDGs should encourage a greater proportion of scientists to think about the implications of their own work for sustainability. What topics are you most excited about at the moment? I’ve been reading extensively lately about ground-source heating (where the earth is used as a heat source or sink for a central heating or cooling system) in the context of the changing climate. Over the next century, really dangerous temperatures could become the norm in some parts of the world, so access to air conditioning could be a matter of life and death. Using the shallow subsurface as a heat sink seems a pretty basic geological concept, but it doesn’t seem to be widely discussed; but increasing the efficiency of cooling might help alleviate the potential inequality of access to air conditioning. I’m also interested in the long-lived effects of disasters on sustainability. Working on landslides has given me a chance to study risk and hazard ‘in between’ catastrophes. The stability of a hillslope can be changed for years after an earthquake, for example, and this changes the risk of a landslide for many years afterwards. We often imagine the impact of a disaster to be immediate, but we also often expect things should settle back to normal later on. But what if the disaster changes what normal means (i.e. the boundary conditions)? This could really important for agriculture or soil loss, or groundwater systems. This certainly seems like a place where geosciences could help inform policy. Hopefully, all sorts of things! Images and human stories are a fantastic way to start discussions about science, and are something I’d like to work on. I’d like to look at deep-dives into more niche but nevertheless important topics; the kind of subjects and research papers that don’t necessarily fit the categorisation for ‘headline news’ but have implications for sustainability and development for whole swathes of people. The ground-source heating example above is just such an idea. I’m curious about how science is conducted, and if we can improve the way we work and publish. Equality and representation in science have parallels to the SDGs, and I think it’s valuable to think about whether we can use science as a microcosm to achieve these goals more widely. I’m also an advocate for increasing trust in science through opening our work to the public – and not just at final publication stage. When I’m not working, I spend as much time as I can outside; I’m lucky to live for now in British Columbia, where there’s great opportunities to hike, climb and trail run in the forests and mountains.